There’s been a spate of books on Brutalism recently but I’m happy to recommend Brutal London by Simon Phipps to the many enthusiasts out there. It’s a lavishly illustrated, 192-page guide to 93 of the major examples of the genre in the capital, organised in an accessible borough-by-borough form. Phipps’ powerful images – the heart and soul of the book – are in the monochrome which is de rigueur for a certain type of architectural photography but it works particularly well in capturing the stark power of Brutalist buildings: in the author’s words, providing ‘a stripped down aesthetic for a barebones architecture’. However, he adds a brief, thought-provoking foreword and a very useful end section of Building Information. The latter includes details of when the buildings were built and their architects – this detail can be surprisingly onerous to track down so I’m grateful for his efforts – as well as some extended observations on selected examples. It’s good to see maps included too, not practical for navigation but a useful guide to location. Phipps himself notes how ‘certain design elements suggest the socially progressive politics of the post-war state made manifest in the minds of architects’. In a particularly powerful phrase, he commends this ‘forceful, belligerent, conceptually considered and egalitarian architecture of social purpose that manifested itself across post-war London’. Other flights of eloquence – reflecting his own arts and design background and a predominantly aesthetic appreciation of Brutalist architecture – leave me a little colder but I’m sure will speak powerfully to the movement’s fans. formal legibility of plan, clear exhibition of structure and the valuing of materials for their inherent qualities “as found”. It’s a broad definition and it allows Phipps to include a number of works that I wouldn’t personally have considered Brutalist. 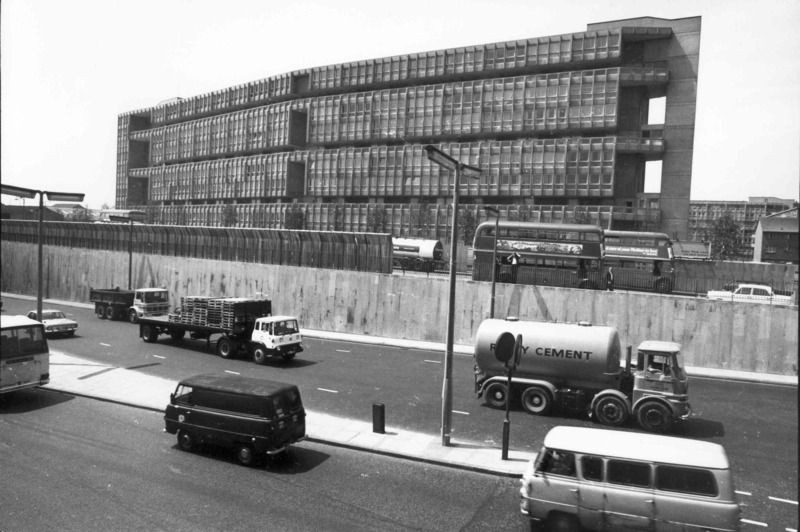 I’ve tended to assume that the use of concrete (particularly the béton brut often thought to have given the style its name) was a crucial component but I’m happy to leave this to be debated by the experts and enthusiasts and grateful that the wider perspective allows us to look anew at a number of significant schemes. Alton West is included naturally – in Phipps’ words ‘a riposte to the tidy geometries and bland stylings of the Scandinavian-inspired modernists’ who had designed the earlier eastern phase. Also in Wandsworth, it’s interesting to see the Doddington and Rollo and York Road Estates covered, built using the Laings Jespersen Large Panel System and generally considered (for good reason given early teething troubles) to be system-built disasters. Other system-built schemes covered include the first system-built housing estate constructed in the country, the Morris Walk Estate built by the London County Council in 1963-1966 using the Larsen-Nielsen system. 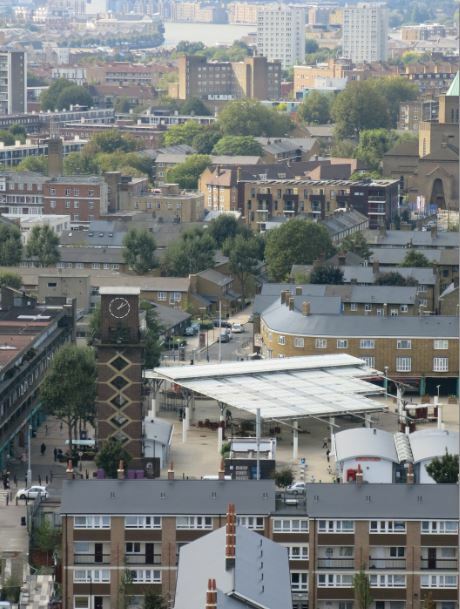 The troubled but maligned Aylesbury Estate in Southwark, another built using the Jespersen system and now subject to its own controversial regeneration, is also featured. No poured, in situ, board-marked concrete here. Nor in Westminster, where Darbourne and Darke’s Lillington Gardens was praised by some as an example of the ‘new vernacular’ – a point at which you might feel the definition of Brutalism stretched. Down the river in Chelsea, Eric Lyons’ World’s End Estate is also noted. Since both are concrete-built and only brick-clad and since both that possess the Brutalist ‘clear exhibition of structure’ that Phipps values their inclusion is probably justified. Anyway, buy the book and make your choices – in inner London in particular, anyone interested in modern architecture will find much to pique their interest. If you love Brutalism, you’ll love the book. If you don’t, it might at least give you pause for thought. Brutalism may not have been pretty but it does look increasingly attractive – both as a monument to earlier ideals and as a rebuttal to what Phipps rightly describes as ‘the bright vinyl-clad Wendy houses that count for much of today’s banal and mediocre housing’. 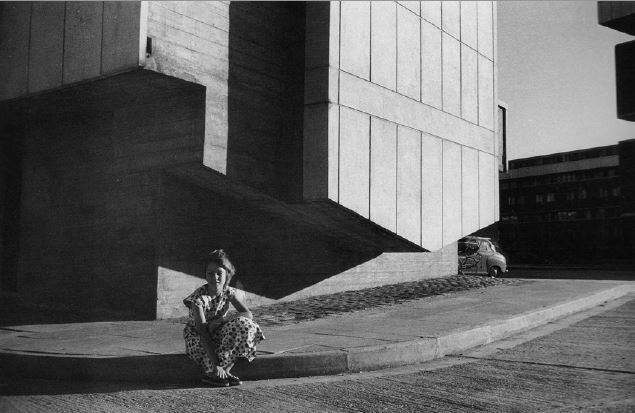 (1) Barnabas Calder, Raw Concrete: The Beauty of Brutalism (2016) – an excellent and engaging academic guide to the subject which I’ve previously reviewed. 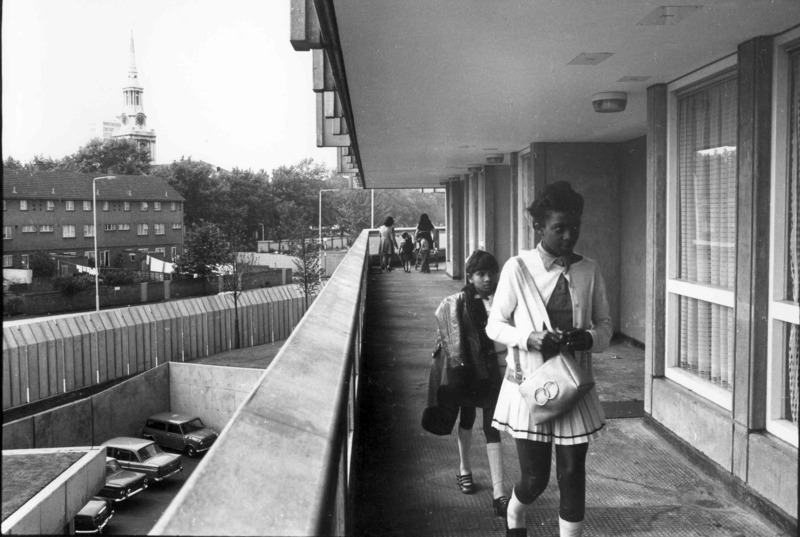 (3) Of those I’ve written about: Alexandra Road, the Branch Hill Estate and the Whittington Estate. well kept, I have never seen rubbish in it at any time of day. Milk bottles are left outside the doors all day as people are at work, never turned over or broken. Some people have door mats outside, I have not yet heard that one has been stolen. This happened to me and friends of mine in Hampstead. 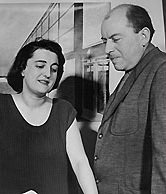 As regards the flats themselves, those she had visited were ‘ beautifully kept, people are going to a lot of trouble to install them mostly with outrageously terrible furniture, carpets, curtains and ornaments’ – although she did add that she didn’t think the fabric designs ‘much worse than those I see at the Design Centre’. We might mock the condescension here and feel unsettled by her surprise that working-class people could actually behave rather well but it is worth making the point that this was a respectable and law-abiding community. If things went wrong later, this wasn’t the result of some original sin in the building’s design. Some of the early faults were corrected. Ernő noted copper gaskets on the windows which made a ‘trumpeting noise’ in the flats when winds were high (they were replaced) and the need for thresholds on front doors (which were added), for example. 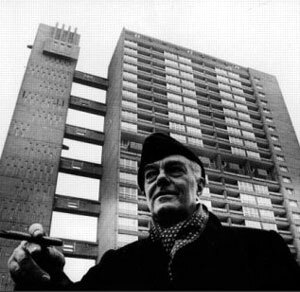 They both noted – the eternal problem of municipal high-rise – the inadequacy of the lifts and he added an extra lift to his plans for Trellick Tower, Balfron’s sister in north Kensington completed in 1972. I have heard many people who live low down say they would like a flat higher up. I have heard no tenant who lives high up say they would like a flat lower down…they all said the flats were lovely…I have never heard anybody express regret for the terrace houses they have mostly come from. But three months after the Tower’s opening Ronan Point collapsed and the love affair with high-rise was very near its end. 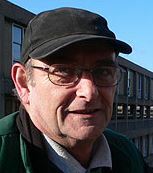 Moreover, Balfron would not be immune from the social and environmental problems which afflicted council estates up and down the country from the late seventies. 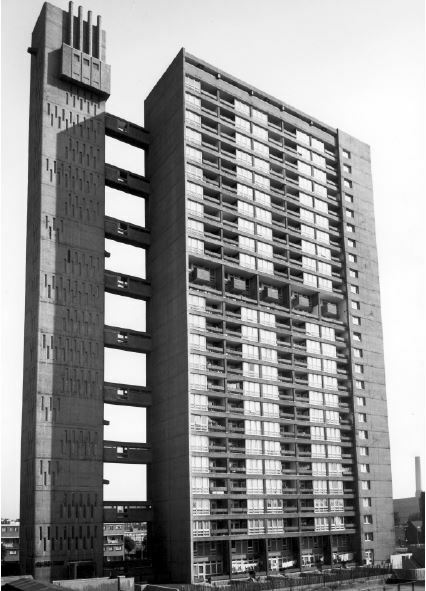 For those who hated high-rise and hated in particular the uncompromising architecture of Balfron, the lessons were obvious: ‘high-rise living, at its worst, can be a ghastly and isolating experience’. 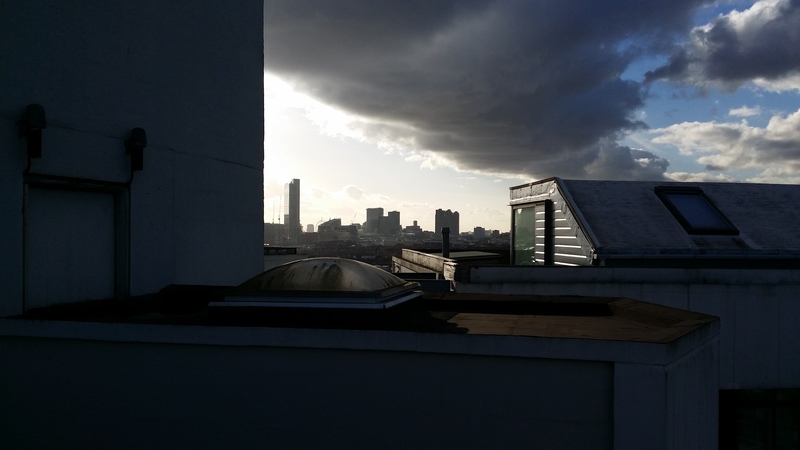 (2) An intrepid reporter sent to the Tower found evidence to back this up: a 59-year old resident living alone on the top floor felt like ‘a battery chicken in a box’; he didn’t know his neighbours and had been burgled twice. A young single mother complained, understandably, how badly being ‘cooped up in the flat all day’ was affecting her two pre-school children. 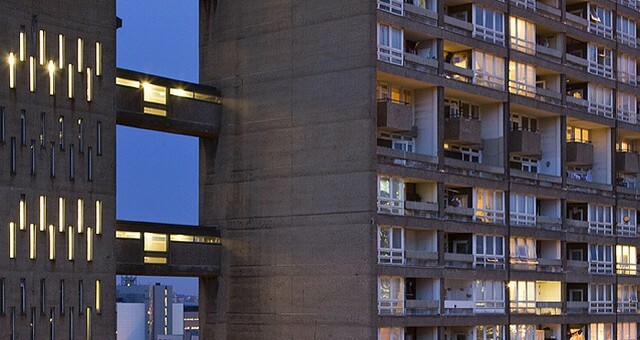 For all that, Balfron was never as notorious or troubled as Trellick – the same source describes it as having ‘had a boring life’ and possessing a more stable community – and it seems to have recovered quickly. CCTV was installed in 1990 and that caretaker later reported few problems with vandalism: ‘I know all the kids, who their mums and dads are. I’ll knock on someone’s door if I’ve seen them doing something’. It was Grade II listed by English Heritage in 1996 and ownership was transferred to the local Poplar HARCA housing association in 2006 after one of those ‘an offer that can’t be refused’ ballots that marked the housing stock transfers from councils to housing associations of the time. 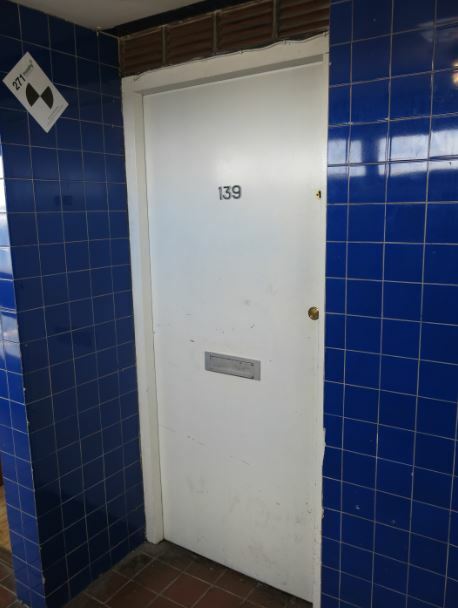 Tenants were promised new kitchens, new bathrooms, a whole range of repairs and improvements – basically the kind of necessary upgrade that local councils were financially unable to offer. In 2010 it became clear – belatedly, it might seem – that the building’s repair and refurbishment would require all tenants to be – in that chilling bureaucratic phrase – ‘decanted’. And the rules of the game changed. The option for tenants to return to improved homes has been removed; all flats are now to be sold on the open market. Whether clients move to us for a hip studio, neighbourhood apartment or luxury penthouse, Londonewcastle creates inspiring, vibrant environments which combine high specification residential services with select retail, restaurant and offices. Understandably, the City types who move in (Canary Wharf is so close) or the speculators that buy won’t want poor people sullying their space. 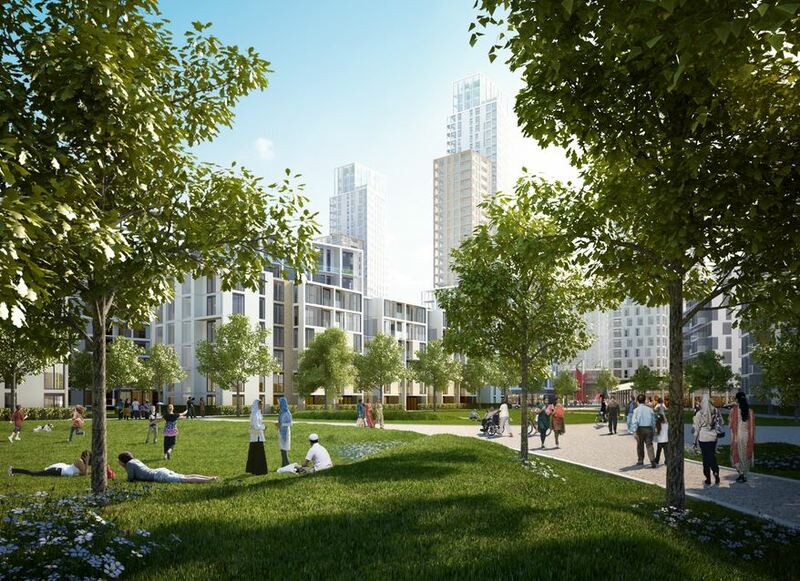 The kind of ‘urban renaissance’ proposed for areas such as Poplar nowadays rests on conspicuous consumption and the affluence of middle-class incomers. It displaces and marginalises existing communities. 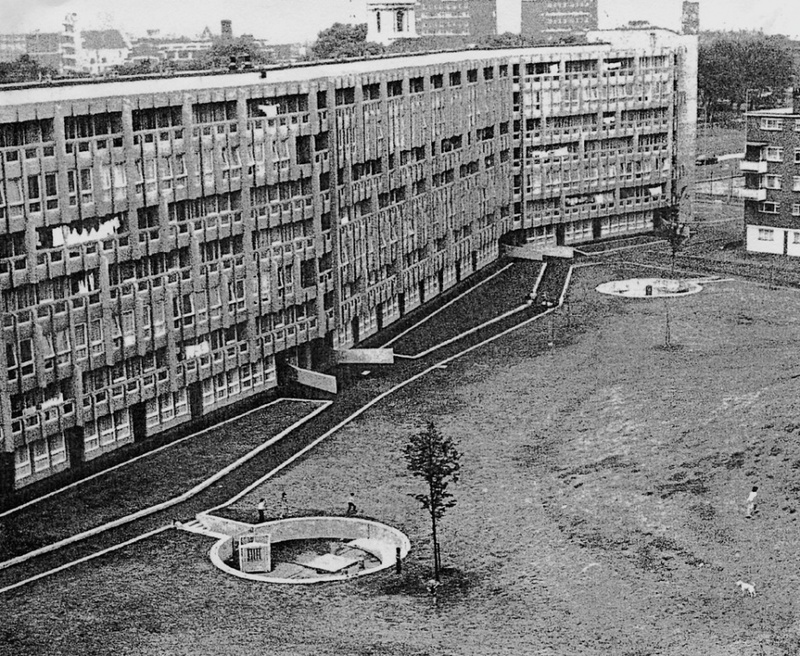 By way of contrast, look just to the west, go back sixty years, and see a different world, different priorities – the Lansbury Estate, a council estate built in 1951 to meet ‘the needs of the people’ and the model then of a better and more democratic future. 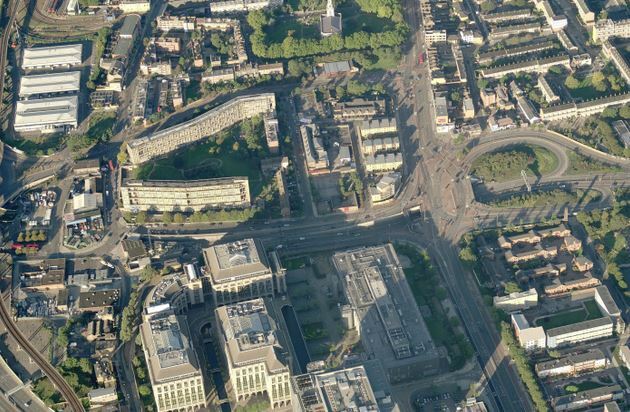 Defenders of Poplar HARCA would argue they are doing their best to work the system – a sell-off of prime real estate here, some replacement social housing there. The rules require that we sell off homes in the social rented sector to maintain the ones we have. The same rules imply that some homes are too good for ordinary people. And, in practice, those rules break up communities and disperse too many tenants far from their original homes and neighbourhoods. There may be some good people trying to make those rules work as effectively as possible for those that need housing. But many more are making a quick buck and the rules need changing. We have come to accept our society’s divisions and the exclusion of our poorest neighbours. The need to defend existing social housing and build anew has rarely been so stark. Its sell-off is a loss of housing for those who need it most. For the rest of us, it’s a loss of common purpose and decency. (2) George Tremlett, Conservative housing policy director on the GLC, quoted from a speech to RIBA in the East London Advertiser, 21 July 1978. The following quotations come from the same source. 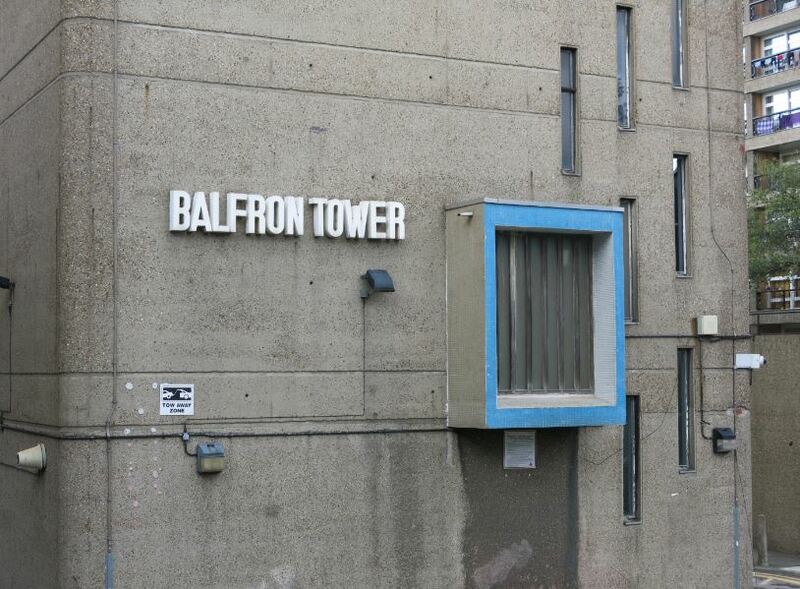 (4) Will Hunter, ‘The future’s golden for Balfron’, BD Magazine, October 2008. The quotation is from Greg Slater of PRP Architects who are consultants on the refurbishment. (8) Tower Hamlets Citizens, ‘Tower Hamlets. A Report on the Housing Crisis in one of London’s most expensive boroughs’ (2014). 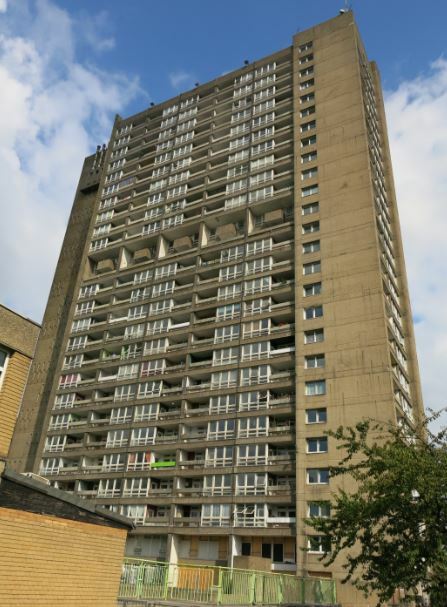 For detail on the attempts to remove tenants from the waiting list, read James Butler, Social Cleansing in Tower Hamlets: Interview with Balfron Tower Evictee. The favoured tactic is to use the Rent Deposit Scheme for privately rented accommodation – more expensive and of inferior quality. Thus we spend money on Housing Benefit to subsidise private landlords rather than investing directly in homes. Rab Harling took photographs of 120 of the flats over three years as a ‘portrayal of a community living with housing insecurity.’ View his slideshow here. 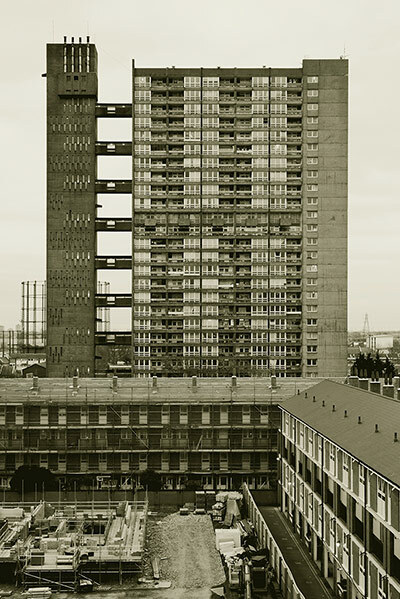 Balfron Tower is now one of the stately homes of England – a National Trust attraction no less. Recently it’s hosted an arts season, a Shakespeare play, and it’s provided live-work accommodation for twenty-five artists since 2008. And all that, to be honest, makes me sad because once Balfron was simply housing for the local people who needed it – although its size and style and big name architect did always get it special attention. The site for what is currently the Brownfield Estate, in which Balfron is located, had been identified as early as 1951. 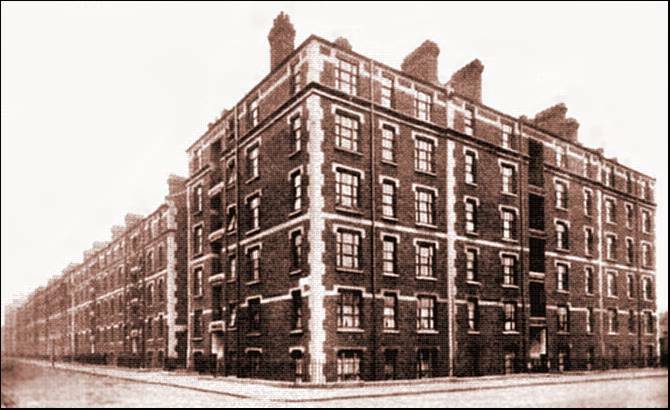 The now truncated St Leonard’s Road was one of Poplar’s principal streets; the area as a whole comprised a dense grid of old and substandard terraced housing. The land was acquired in 1959 just as the new Blackwall Tunnel Northern Approach to the east was cutting its own brutal swathe through these old streets. 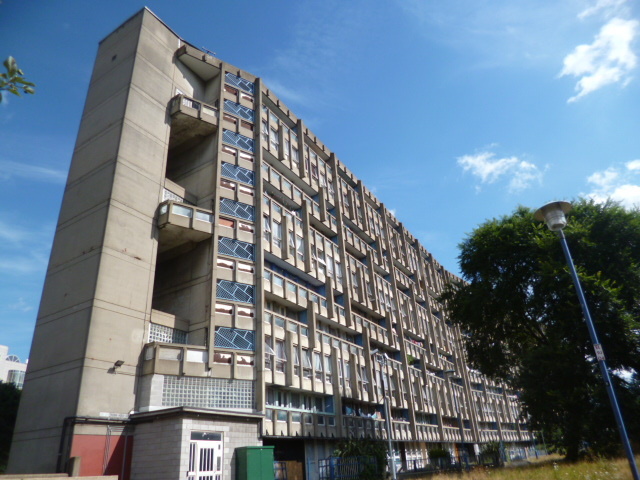 In 1963, the London County Council asked Ernő Goldfinger – one of the most celebrated modernist architects of the day – to design the first buildings of the new development. 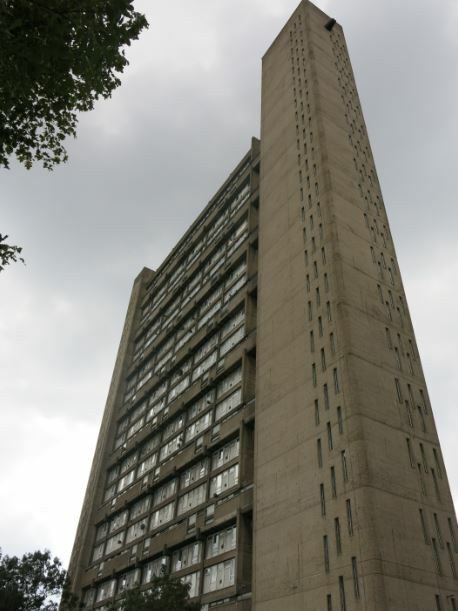 Rowlett Street Phase I, as the Balfron Tower was originally known, was built – by the LCC’s successor body, the Greater London Council – between 1965 and 1967 and officially opened in February 1968 by Desmond Plummer, leader of the GLC. It is 26 storeys and 276 feet high – in plain construction terms, ‘an in-situ reinforced concrete cross-wall structure linked to the service tower by precast concrete bridges at every third floor’. (1) It contained 146 homes in all, 136 flats and 10 maisonettes. The maisonettes were located at ground level and on the 15th floor – the latter provides the distinct break which can be seen in the otherwise uniform façade of the Tower. 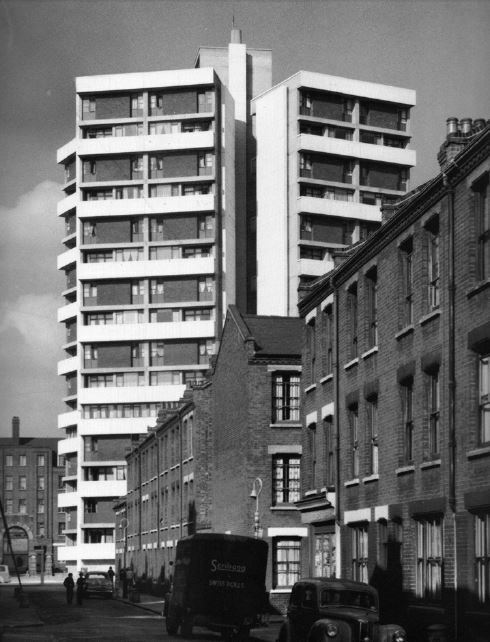 The idea of a service tower had been pioneered by Denys Lasdun at Sulkin House and Keeling House in the 1950s. Its advantage, as Goldfinger pointed out, was that ‘all noisy machines, including lift motors, water pumps, fire pumps, rubbish chutes, and the boiler house at the top, are completely insulated from the dwellings’. Noise within the flats was also reduced ‘sideways by a 9 inch concrete wall and top and bottom by a 1 foot thick concrete floor’. It wasn’t so easy to deal with the near-motorway just outside the block. The service towers also contained two communal laundries and ‘hobby rooms’ for teenagers, one for table tennis or billiards and the other set aside – in language which must have been a little dated even for its time – as a ‘jazz/pop room’. Decades later, in a rather more authentic demonstration of youth culture, the Tower was home to pirate radio stations which made good use of its commanding height. 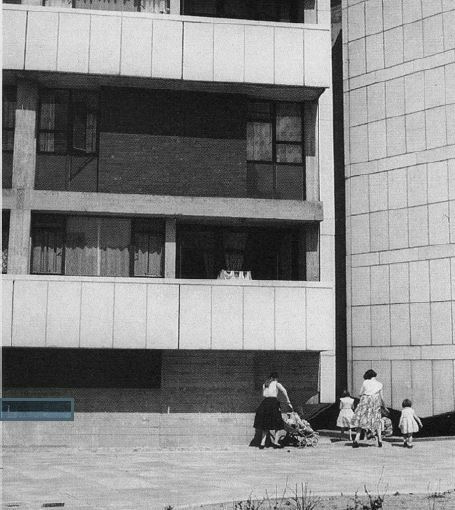 Goldfinger hoped that the large balconies provided for each home would provide a play area for toddlers; ‘a sunken play area with slides, towers, water and a sandpit’ was located at ground level with a day nursery to follow. He acknowledged that ‘common shopping and welfare facilities’ were lacking – as they were in so many estates in which councils understandably prioritised the immediate pressing need for roofs over heads. This, he said, was a problem which needed to be solved on ‘a political plane’. the success of any scheme depends on the human factor – the relationship of people to each other and the frame of their daily life which the building provides. ‘These particular buildings,’ he continued, ‘have the great advantage of having families with deep roots in the immediate neighbourhood as tenants’. 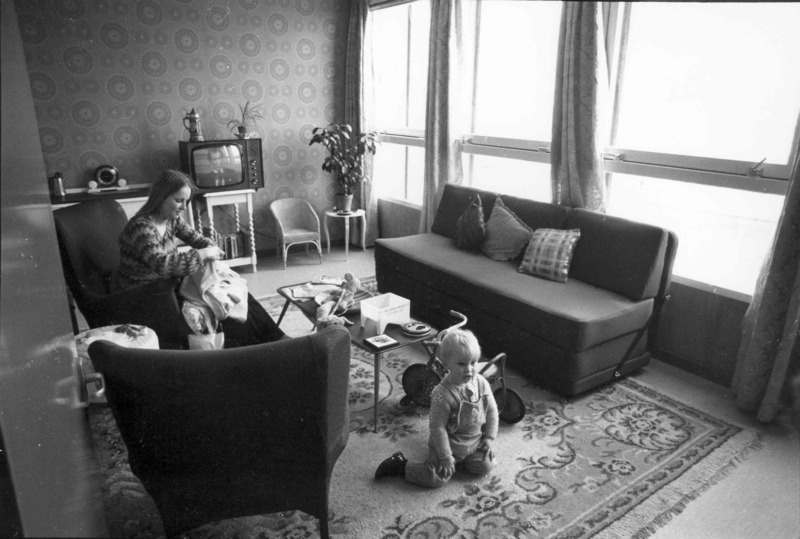 Of the first 160 families in the estate, most were rehoused from the immediate neighbourhood and all but two from Tower Hamlets. They tried, where possible, to rehouse former neighbours together. Goldfinger hoped, perhaps a little optimistically, that the access galleries – he counted the number of front doors on each, 18 on seven of the levels – would form ‘“pavements” on which the normal life of the neighbourhood’ might continue ‘very similar to a “traditional East End” street’. Those corridors weren’t exactly ‘streets in the sky’ but he saw their design as far preferable to a traditional point block where only a few flats could be arranged around a single internal corridor. In fact, it’s often the acolytes rather than the architects themselves who most deserve criticism. There’s an astonishing amount of writing about Balfron Tower which simply fails to register that it was housing at all. It is as though Goldfinger, from among the Functionalist totems, had chosen as a source of inspiration the artifacts of war. The sheer concrete walls of the circulation tower are pierced only by slits; cascading down the facade like rain, they impart a delicate sense of terror. Internally, of course, the flats were spacious and airy with a quality of fixtures and fittings that very few of their residents would have enjoyed before. And the views were wonderful. 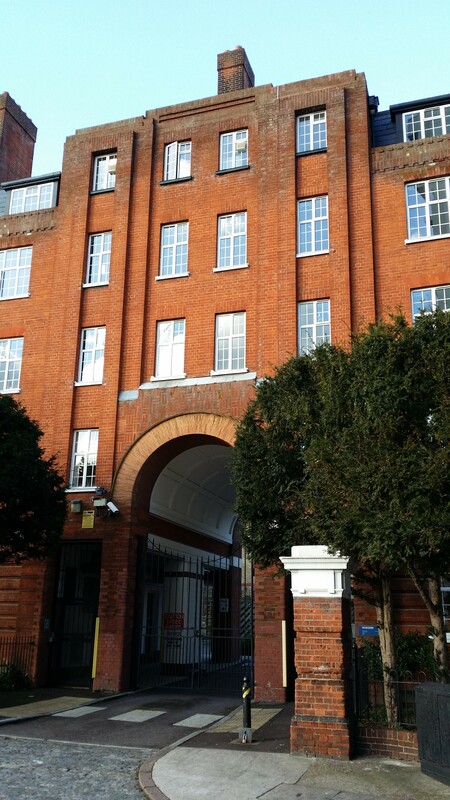 Among the first to move in were an unusually affluent couple from Hampstead – Ernő and Ursula Goldfinger. 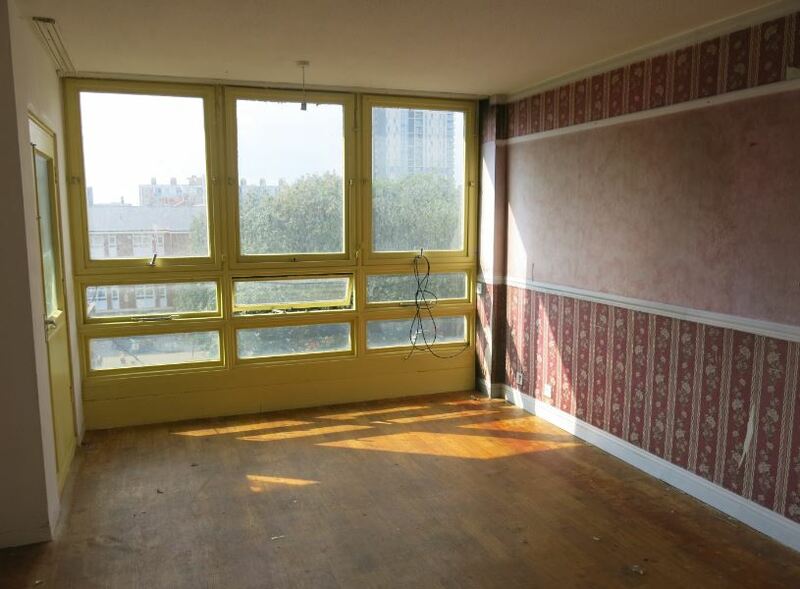 They moved in to flat 130 on the 25th floor (now refurbished with sixties kitsch as part of the National Trust tour), paying as was proper the full rent of £11 10s rather than the subsidised figure of £4 15s 6d due from tenants. They stayed two months. to experience, at first hand, the size of the rooms, the amenities provided, the time it takes to obtain a lift, the amount of wind whirling around the tower and any problems which might arise so that I can correct them in future. 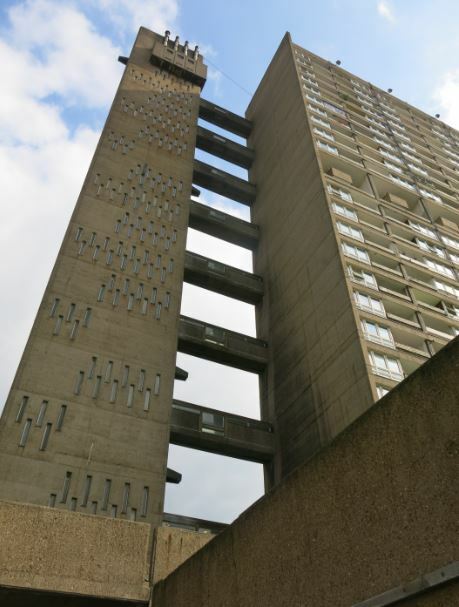 In next week’s post, we’ll see how that experiment went, we’ll assess how Balfron Tower succeeded as social housing for its more usual residents, and we’ll examine the twisted politics which have brought it to its current sad state. A few weeks ago, Keeling House in Bethnal Green featured in BBC2’s Great Interior Design Challenge. Its presenter Tom Dyckhoff paid due homage to the building’s architecture – a Denys Lasdun brutalist masterpiece – and to its history. But let’s pay a little more attention to the latter here. Now privately owned, Keeling House was once a vision of high quality housing for the people. Before the Second World War, Bethnal Green was the heart of the traditional working-class East End – with social conditions to match. At the height of the Great Depression, 23 per cent of the borough’s men lacked jobs and some 43 per cent of its population were overcrowded. (1) Both the London County Council and Bethnal Green Metropolitan Borough Council built extensively to rehouse local people. The Claredale Estate was one such local council scheme, begun in 1932. The present and past borough councils did what they could to improve property and bring it to a better level. Their chief trouble was lack of money; in common with the other councils the Bethnal Green Council had not as much money for housing as it would like to have. In a sign of the times, it’s now let by a housing association as single-room student accommodation. Back in 1945, there was added urgency to government’s mission to house the people – practically due to the impact of the Blitz, politically by the expectations raised by wartime promises. Much wider clearance and redevelopment followed. The disposition of the plan is such as to eliminate the necessity of escape stairs and also isolates the noise of public stairs, lifts and refuse disposal from the dwellings. These were people who came from little terraced houses or something with backyards. I used to lunch with them and try and understand a bit more about what mattered to them, and they were proud people. They kept pigeons and rabbits in their back yard and hung their washing there…And as a result of these contacts I didn’t have flats. I said no, they must have maisonettes, two up and two down, or whatever it was, because this would give them the sense of home. And from these conversations, they wanted a degree of privacy. They said: you know, we’re not used to being in a great sort of huge block of one of thousands. So the thing was radically broken up, this building, into four discrete connected towers, each semi-d. on a floor, each a maisonette. Keeling House writ the cluster block concept large. 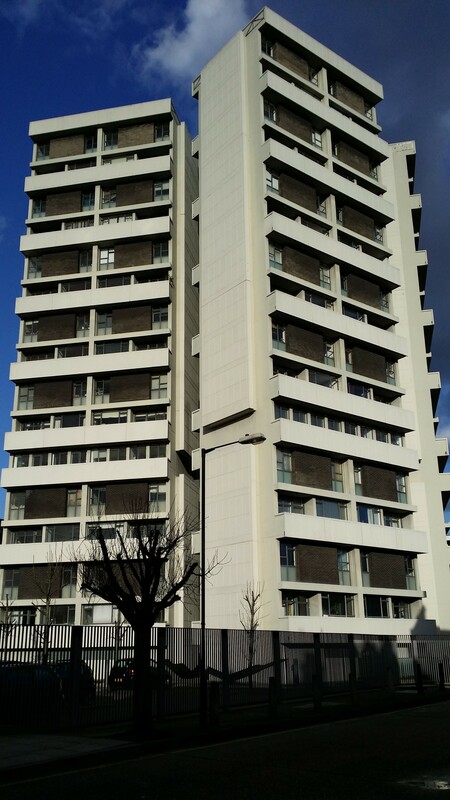 Completed in 1959, it was 16 storeys-high, four blocks around the central service core containing 64 homes in all – 56 two-storey maisonettes and, on the fifth floor and deliberately visible in the building’s profile, 8 single-storey studio flats. It’s an unashamedly brutalist design, constructed of reinforced concrete with precast cladding units of Portland stone finish. It’s not to everyone’s taste. Locals reportedly found it stark and intrusive, out of keeping with the surrounding Victorian terraces. 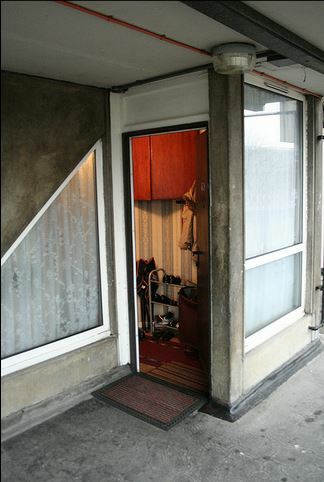 One resident of the block itself described it as ‘the ugliest building I have ever seen – ugly and bleak’. (6) But, to my eyes, Keeling House has a strength and cleanness of line and variety of surface and angle which is striking – it’s a building which takes the ‘brutal’ out of brutalism. Perhaps views have changed more generally. And despite its scale, Lasdun tried carefully to preserve the best of the old whilst incorporating the benefits of the new. This was an attempt, it was said, to stand those Victorian terraced streets – dilapidated but vital – on their end. 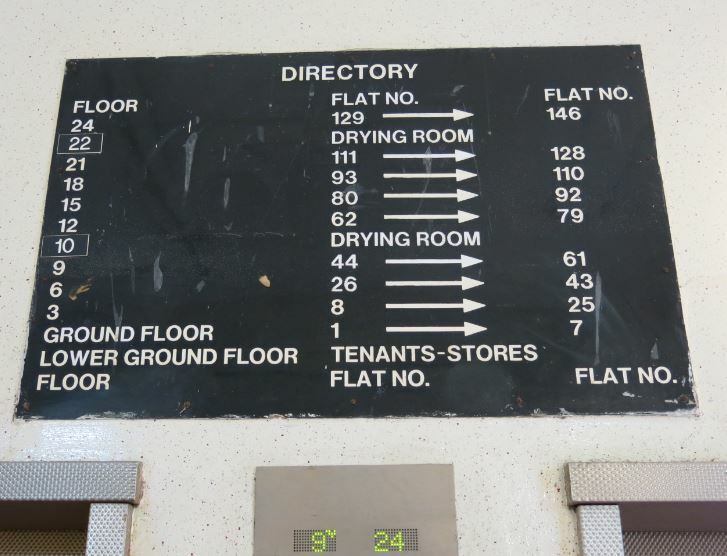 The services areas of each floor were common – a place to dry clothes (before the era of tumble dryers) and meet and chat. Balconies, each serving only two flats, faced each other but did so obliquely, in a delicate balance of neighbourliness and seclusion. Three-quarters of the tenants could reach their front door without passing another. The housing blocks were angled to provide shelter to each other and each home was angled to receive sunlight at some point during the day. Each had a private balcony. Still, not all the high ideals worked out. What was good for drying clothes – the wind eddied around that central service area – did not make for leisurely conversation. 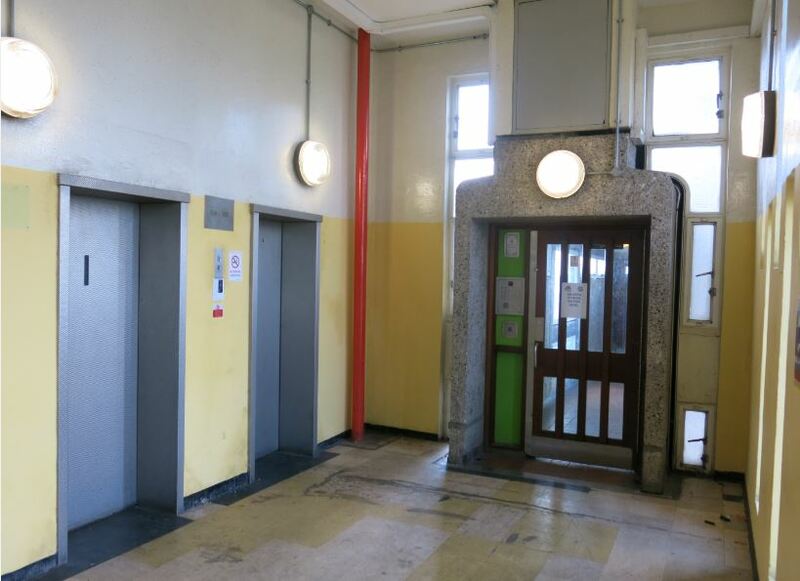 Free access to the lifts, and thereby the common areas, left the block susceptible to problems – of vandalism and graffiti – which were common to many council estates in the 1970s and beyond. And structural problems emerged. 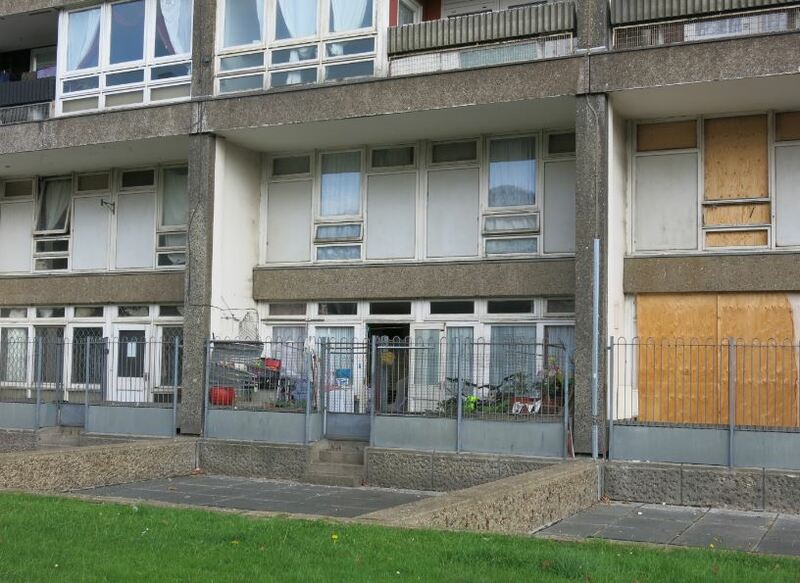 Tower Hamlets Council, Bethnal Green’s successor authority, spent £1.2m on repairs in 1984 –perhaps unwisely as we shall see – but within a few years things had got worse. Residents reported damp, cracks appeared in staircases and the concrete cladding started to crumble. In October 1991, a Dangerous Structure Notice was served on the block and, in the following year, as its deterioration accelerated, residents were required to vacate. 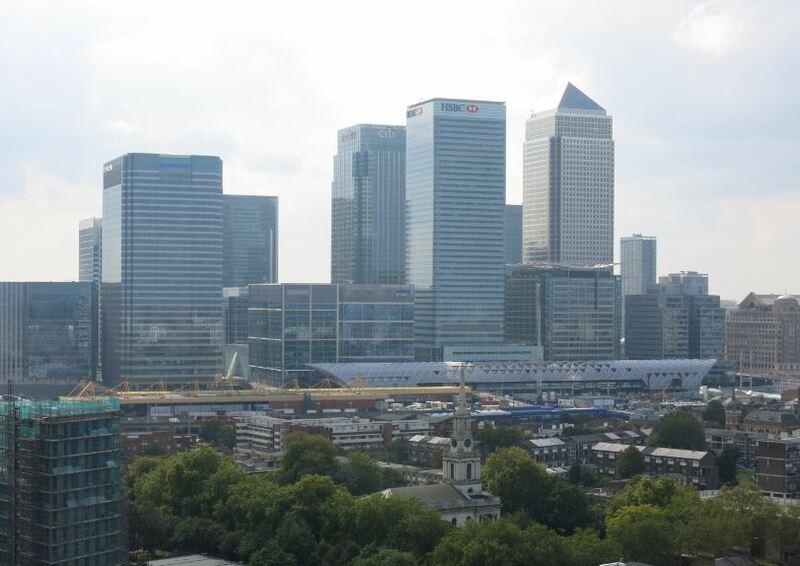 Tower Hamlets estimated it would cost £4m to repair, money it could ill afford at a time when £500m was required to repair and upgrade its housing stock as a whole. It was argued also that Keeling House’s two-bed maisonettes were unsuited to current local housing needs as larger families, single-parent families and the elderly came to predominate on waiting lists. The Council, desperate to get the building off its hands, was willing to sell the block to a housing association – the Peabody Trust could have had it for £1 – but none would take it on without the promise of very substantial central government or Lottery funding. In October 1993, Tower Hamlets voted to demolish the building. Looking back, I’m not sure there are any villains of the piece here. Defenders of Keeling House pointed plausibly to a history of neglect and to that repair job back in 1984 now generally conceded to have been ‘bodged’. They argued that structurally the building was sound – most problems related to external panels – and that repair was a more economical option than demolition and building anew. It was so peaceful. Beautiful at night and you didn’t have to draw your curtains. There was a very good atmosphere and we had lovely neighbours: a Jewish lady used to make us lokshen soup and latkes. Will they think of our families they are throwing on the street. Furniture in storage, bed and breakfast for our home. Where all the neighbours will unite and try to make a stand. We have feelings too but you just don’t understand. What can we tell our children when they come knocking at the door? Is this the sort of people our ancestors fought for? 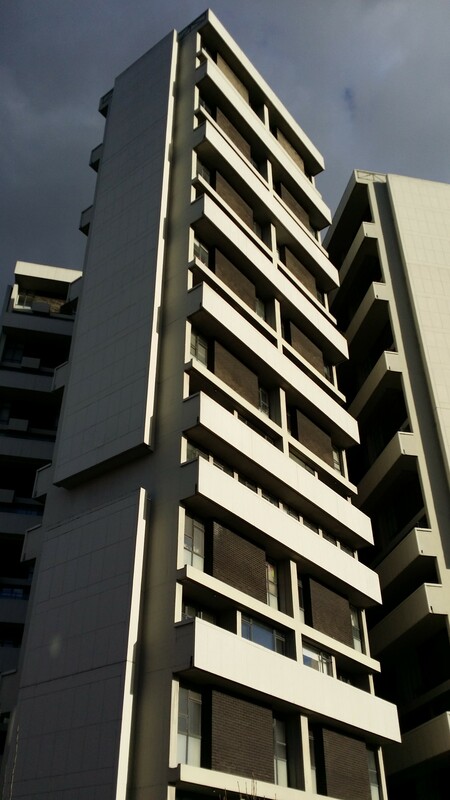 One tenant told Lasdun that ‘we loved living in our crumbling tower block’. Pam Haluwa of the Residents Association stated simply, ‘if you want to bring Keeling House up to a nice liveable state, we’ll all move in tomorrow’. 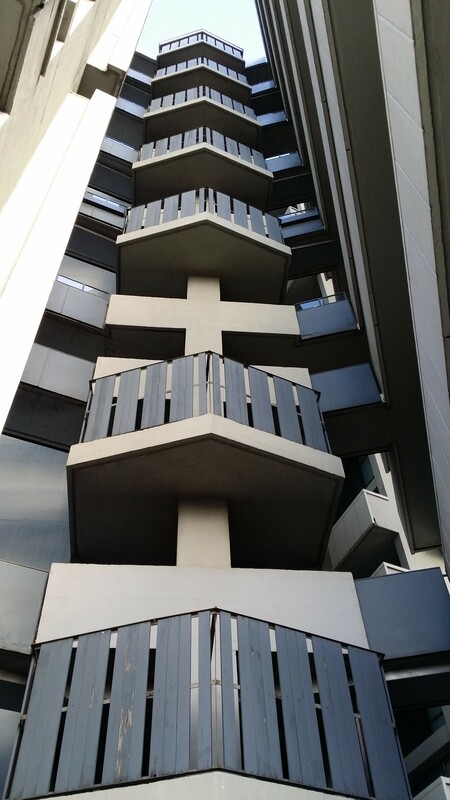 (11) Lasdun thought it had been a ‘happy building’ and perhaps, in general, he was right. In the end, the Council were forced to put the block on the open market and it was purchased by Lincoln Holdings for £1.3m in 1999. A £4m refurbishment, masterminded by the architectural firm Munkenbeck + Marshall followed. 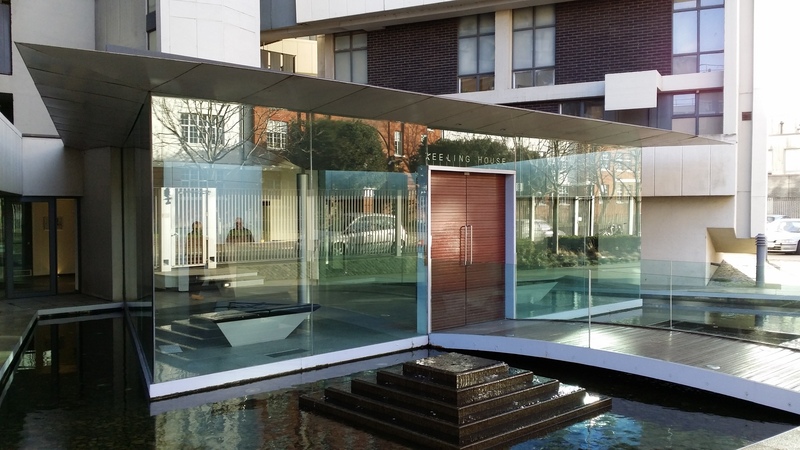 The spalling concrete was given a new protective coating, the flats were modernised internally and a new entrance foyer – with concierge – and landscaping were built at the front of the building. More radically, eight top-floor maisonettes have been converted into luxury penthouses with the addition of a roof-top sunroom. The disused water tank standing at the very top of the building will be converted to a maisonette this year. As might be expected, Lasdun, who died in 2001, was grateful that his building survived and approved the details of its redesign which won a RIBA award in the following year. But he lamented, as we should, that housing built for the ordinary people of Bethnal Green has been lost to the private sector. Back in 2000, the new flats went on sale at prices ranging from £145,000 for a one-bedroom home to £375,000 for one of the three-floor penthouses. 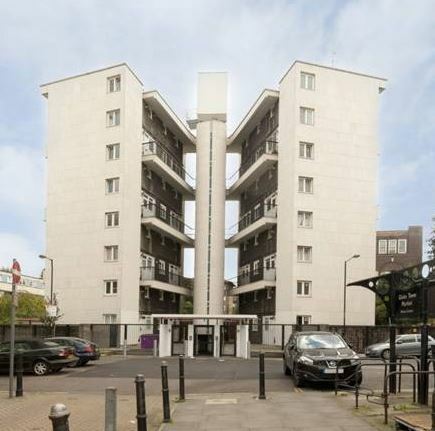 A two-bed flat is currently on sale for just over £500,000. But they don’t stay on the market for long. I was told that 30 of the 67 flats are currently occupied by architects and it’s a much sought-after building in a rapidly gentrifying East End. 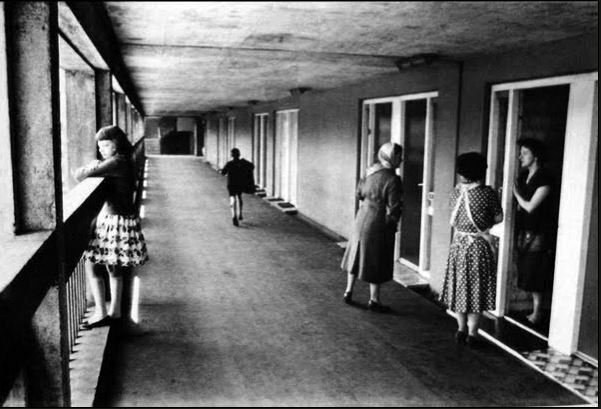 ‘In the socially committed post-war generation, a lot more thought was put into social housing than into most accommodation in the private sector’. (12) In our modern world, the market rules. (3) Details on Sulkin House, listed Grade II in 1998, can be found on the English Heritage website. The 1959 photographs are taken from Brian Heron, Disused Water Tank, Keeling House, Heritage Statement, December 2010. I’m grateful also to the helpful staff of the Tower Hamlets Local History Library for their help in accessing its excellent resources. 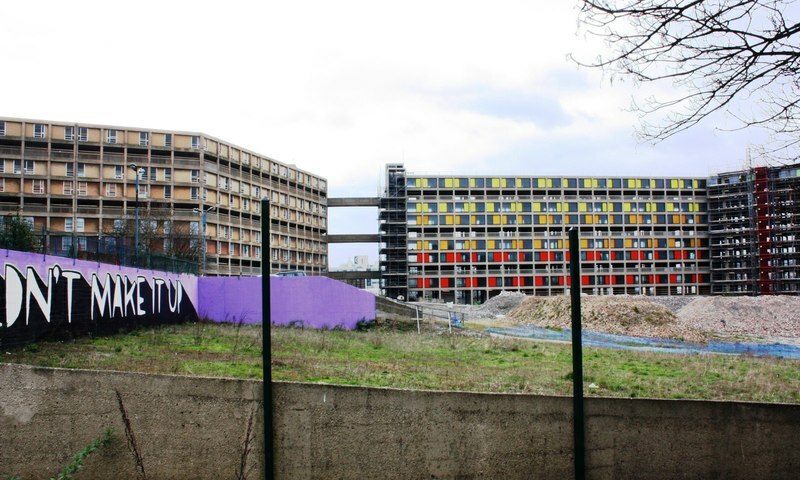 We left Robin Hood Gardens in limbo last week. In 2008, Tower Hamlets Council had voted for its demolition. Its supporters – primarily architects excited by its founding vision but also campaigners for social housing – mobilised to save it. Much of the architectural case appears to me somewhat self-referential – an argument about the ‘iconic’ status of the buildings and ‘seminal’ role of the Smithsons with – in many, though not all, of the contributions – little regard for the lived reality of the estate for those who inhabited it. Aaah, social housing made safe for the professional middle classes – what a vision! In fact, to be fair to the Smithsons, they designed the estate very much with mothers in mind. Perhaps it’s just single mothers Bayley objects to though they’re not that common on an estate with a significant Muslim community. He continued, ‘As Marx asked, does consciousness determine existence or does existence determine consciousness? Or, to put it less correctly, do the pigs make the sty or does the sty make the pigs?’. This was not only insulting but stupid, given that Marx had concluded very firmly – it was the keystone of his philosophy – that being determined consciousness or, as Bayley might prefer, the sty made the pigs. 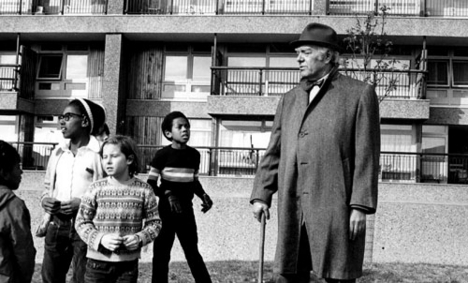 Not, therefore, a great encomium for Robin Hood Gardens. More serious commentators, headed by BDonline which has campaigned to save and renovate the estate, made a better case. They pointed out that the poll of tenants was seriously flawed. Residents did want better housing conditions but their dissatisfaction focused on the poor upkeep of the estate and problems of overcrowding – neither of which problems can be blamed on its design. At this point, I’d normally quote residents’ views as evidence – and plenty are available – but in this case, to be honest, they’re likely to offer little better than an anecdotal back-and-forth. The reality is that responses tended to reflect the questions being asked and the choices being offered and often reflected the bias of the questioner. I’m not claiming, therefore, to offer some definitive judgment but I hope these conclusions are balanced at least. You know what they call this place around here? They call it Alcatraz. At least the people who don’t live in it do. My friends ask ‘How can you live there?’ but they can’t believe how nice it is inside. I don’t like the outside very much – but once you get inside your own flat it’s really very nice. You’ve got fresh air back and front – either on the street deck or on the balconies. But the estate as a whole does suffer serious design flaws, agreed by their defenders and acknowledged even by the Smithsons. Those ‘streets in the sky’ never really worked – they were too narrow and placed inhospitably on the outside of the blocks. The ‘pause places’ never offered even a simulacrum of personal space. Entrances and access points were unattractive. Personally, I can see what they brought to make it stand apart from the average estate – presence, dignity, an integrity of concept and detail – but I can also see how, for almost everyone but architecture buffs, such concepts might seem vaporous next to the more obvious truth that it all feels a bit grim. This has to matter, doesn’t it? And Brutalism doesn’t really need to be quite so ‘brutal’. 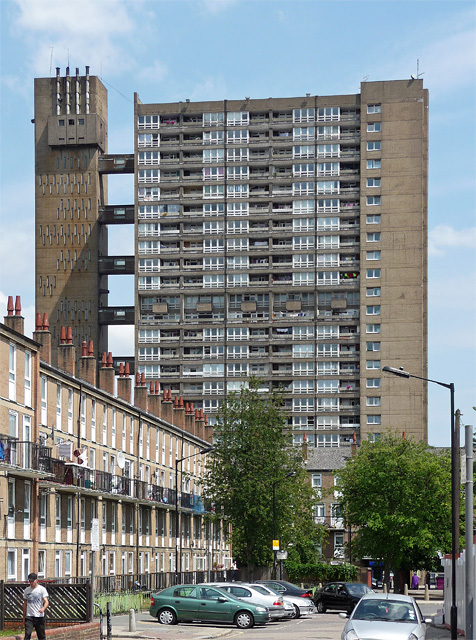 Unlike many other much-criticised estates, Robin Hood Gardens never seems to have enjoyed a heyday. It was born into bad times – a period of economic decline in the East End when racist thuggery and racial tensions were rife. This, of course, was not its fault. And, for all the superficial plausibility of the ‘defensible space’ thesis, the longer history of Robin Hood Gardens does not bear it out. Antisocial behaviour has declined – even as the estate has been run down and its environment declined. Recent reports reveal much less graffiti and far less antisocial behaviour – these appear to have been a generational and social phenomenon rather than one rooted in the estate’s design. Ironically, the estate’s problems may have reflected less its modernism and more a backward-looking design conception. It was predicated on what had become – even when it opened – an old-fashioned view of working-class sociability. The street-life it referenced and attempted to resurrect was finished – not killed by the Council or callous planners but superseded by working-class aspirations towards home and family and the relative economic affluence which fostered these. Those that lament this shift should remember that streets and pubs loomed large when home circumstances were fundamentally inhospitable. innovative or inﬂuential. The case for historic interest is…lost precisely because the project came so late in this phase of modernist architecture in Britain, without however representing a glorious culmination. If, as I think, the case for saving Robin Hood Garden is unproven, powerful questions remain about what will replace it. For this, we have glossy brochures and slick websites in abundance to persuade us of the brave new world on offer. What the £500m Blackwall Reach regeneration project offers is basically more – more housing, more commercial units, more open space and higher density. Up to 1475 new homes will replace the 214 on the current low density estate. In terms of design, however, as critics have argued, it all looks a bit generic. In the new scheme, around half the dwellings will be privately-owned and some 35 per cent will remain social rented. The remainder will be shared ownership. Those social rented homes will be transferred from Council control to the Swan Housing Association. Current council tenants who want to be rehoused in the new scheme are concerned about being transferred to a new landlord. They expect their rents to increase and rights to decrease. 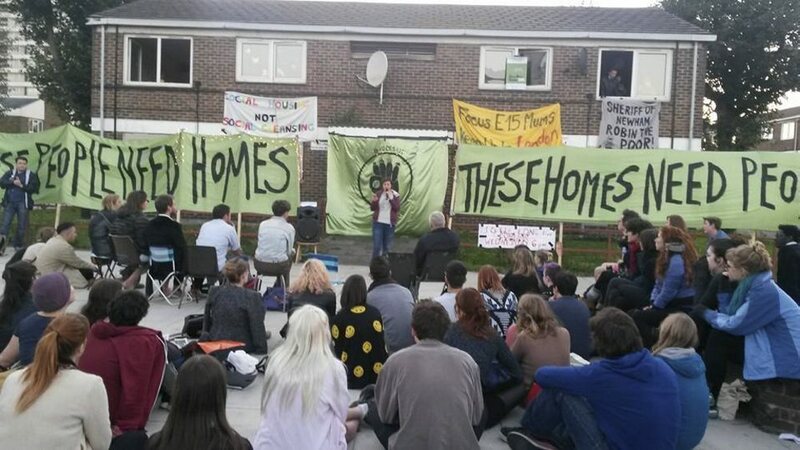 The Council claims that 43 per cent of new homes will be ‘affordable’, of which 80 per cent will be socially rented. There is also improved provision of larger ‘family’ homes of three-bedrooms or more – 429 in all. the consequence of this policy is the creation of thousands of new benefit-dependent tenants while the £24bn housing benefit bill will continue to soar. The government has rendered the word affordable meaningless. That is the reality of Benefits Street and the ‘welfare dependency’ suffered by millions of hard-working families in Britain today. In conclusion, ‘affordability’ – as we noted in the case of the Aylesbury Estate – is a sorry, dishonest travesty of the term. More homes are needed and there may be a case for social mix. There seems – as things are currently organised – to be a necessity for private capital. But it’s hard not to feel that all this is a long way away from those very practical municipal dreams which embraced our collective duty to house the least well-off and were driven by need not profit. 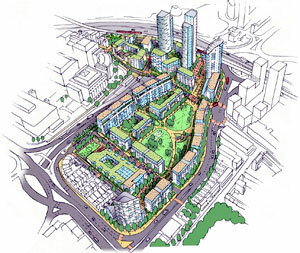 Tower Hamlets gave final approval for the demolition of Robin Hood Gardens in March 2012. That demolition began in April 2013. Architects, historians and – most importantly – residents will now have to comment on this modern vision of social housing and assess again how closely reality matches ideals. 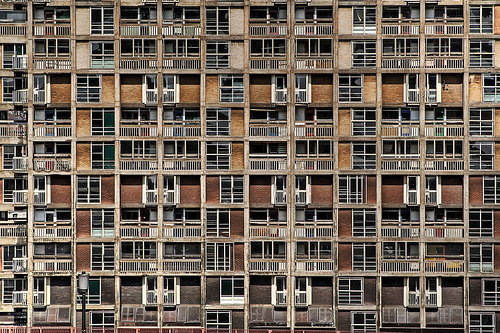 You either like or loathe the Park Hill flats. For one thing, they’re hard to ignore – if you arrive by train, you’ll see them immediately, lowering above the steep hill just behind the station. Then there’s their Brutalist look. It’s an ugly term but by strict dictionary definition – a stark style of functionalist architecture characterised by the use of steel and concrete in massive blocks – Park Hill conforms exactly. 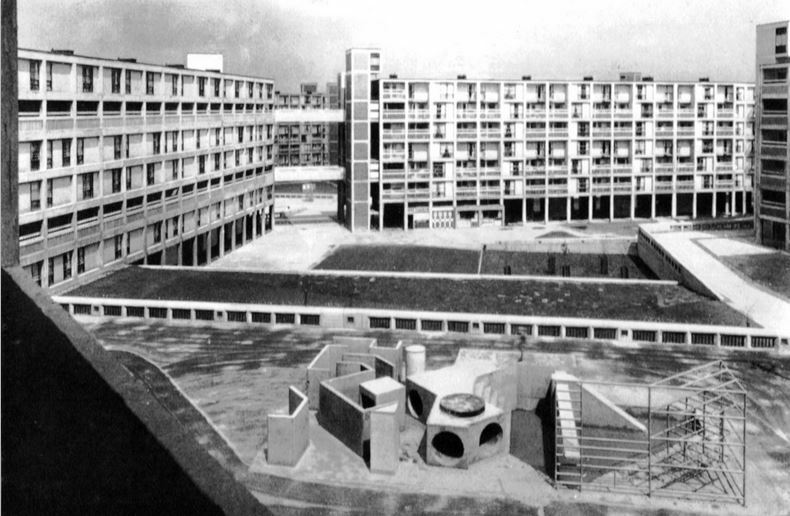 For all that, much of the Park Hill story is familiar: desperate need, high ambition, official acclaim, sorry decline – from hero to zero like many of the social housing developments we’ve looked at. 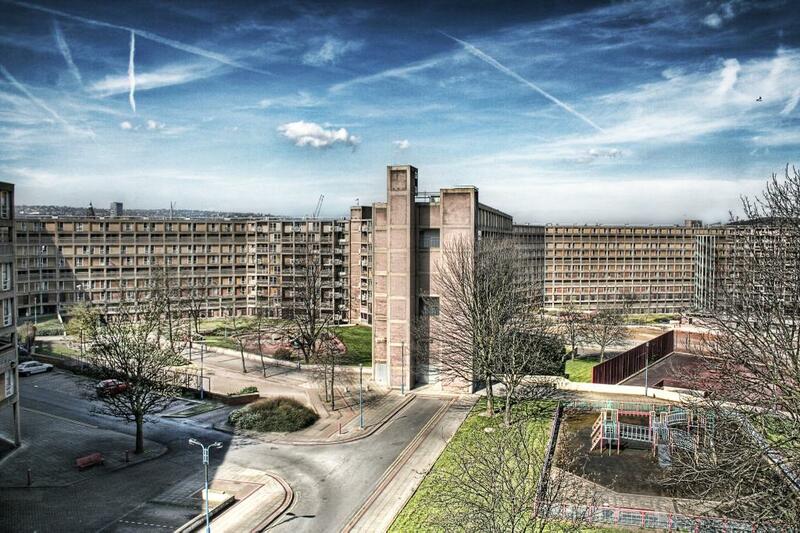 But Park Hill’s story deserves a closer look and some revision. a close-packed mass of insanitary back-to-back slums and other unfit housing…mingled with outworn, industrial buildings and begrimed with the smoke of the railway and city centre. Much of the housing had been condemned as unfit for human habitation before the Second World War and slum clearance attempts had begun. But after the war, the City Council decided a bigger and bolder solution was needed. Their model was to be le Corbusier’s Unité d’Habitation development in Marseilles, completed in 1952. Sheffield’s own version of these ‘streets in the sky’ was designed by Jack Lynn and Ivor Smith under the guidance of J Lewis Womersley, Sheffield’s City Architect. Construction began in 1957 and was completed in 1961. The estate was officially opened in June that year by Hugh Gaitskell, Labour Leader of the Opposition. so planned as to give each household privacy and quiet despite the essentially communal nature of the project. . . Each dwelling, irrespective of size, is provided with a large sheltered balcony where small children can play in the open air, where a pram can be put out and on which an occasional meal can be taken. 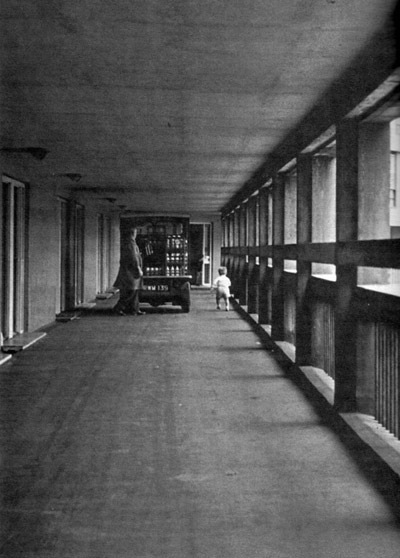 The flats fronted on to the 3 metre-wide street decks which are one of the best-known features of the estate, wide enough for a milk float and friendly enough to allow easy socialising with neighbours. Externally, the blocks harnessed the steeply sloping site, maintaining a flat roof line but ranging from four storeys high at the top of Park Hill to 13 at the lower end. And far more than many other developments, there were strong attempts to maintain and develop a community feel. 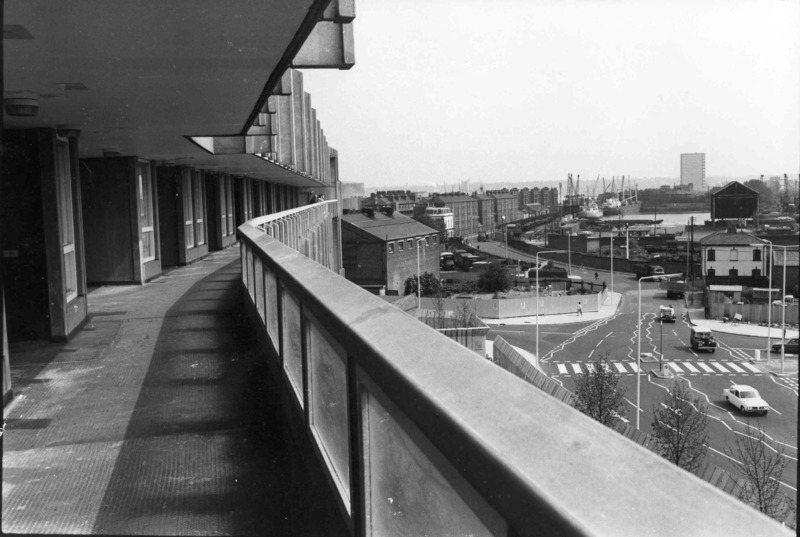 Those decks were ‘allegedly the product of close study of working-class life by [the architects] who sought to reproduce the safe and sociable streets of yore without the danger and din of traffic’. 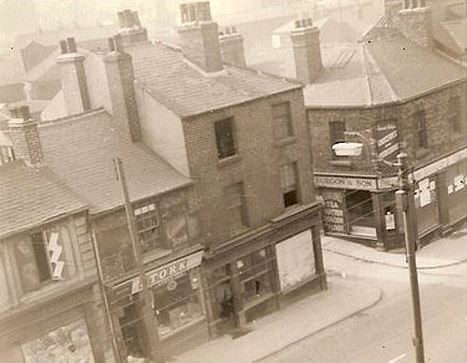 (4) Old neighbours were housed next to each other, former street names were re-used, even the cobbles of the terraced streets were used to pave the pathways down to the station and city centre. 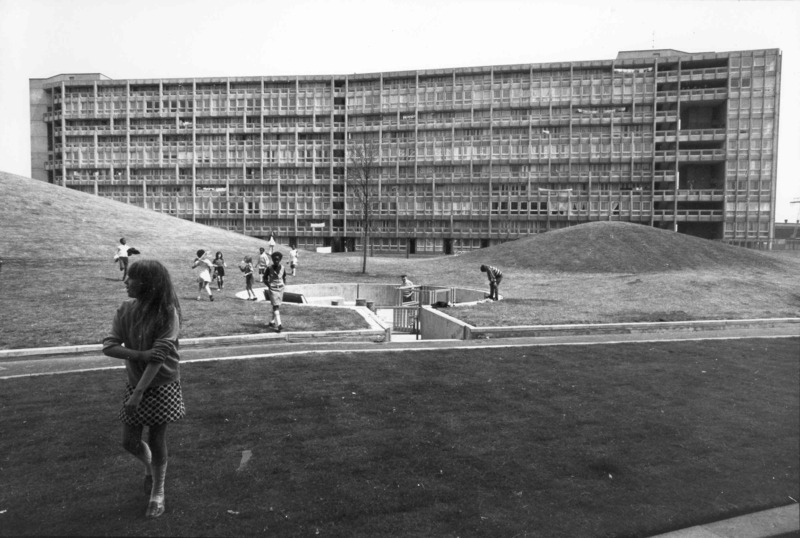 Less than forty years later, ‘dignity’ was the last word that many would have associated with Park Hill. Concrete fared less well in the colder, wetter climate of Yorkshire than in Marseilles. 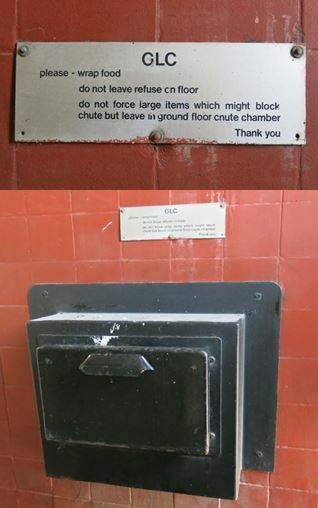 People complained about the lifts not working and problems with noise. The Garchey refuse disposal system – ‘from sink to incinerator’ – broke down frequently and certainly couldn’t cope with disposable nappies. More significantly, the estate had acquired an evil reputation – those ‘streets in the sky’ were now said to be the perfect getaway route for local muggers. The estate was seen as ugly and criminal – ‘a cloud of bad breath hanging over Sheffield’ and a terrible symbol of the city for those visitors by rail. Brutalism never seemed better named and had the flats not been controversially Grade II* listed in 1998 they would perhaps have been demolished. 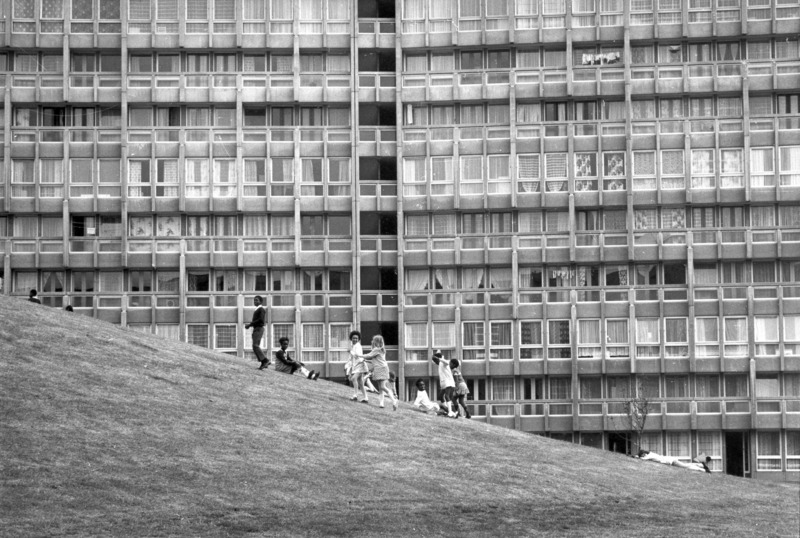 Park Hill was taken by many to be another nail in the coffin of social housing and its grander architectural ambitions. It was luxury. Me, my husband and our baby were living in a back-to-back. My parents were there, too, and my brother. We had no bathroom, just a tin bath on the back of the door. So when we got here it was marvellous. Three bedrooms, hot water, always warm. And the view. It’s lovely, especially at night, when it’s all lit up. Everybody seemed to get on with their neighbours and there was a strong bond between families and the friends I made there I regarded as friends for life. I lived there most of my life. No one who didn’t live there, can say anything bad about it at all. We all stuck together and looked after each other and felt safe. Such comments are readily dismissed as rosy-hued nostalgia. But shouldn’t the views of actual residents be privileged over the urban myth and moral panic of much of what passes for social commentary in relation to working-class communities – from Victorian times to the present? More objectively, the estate’s resident sociologist – there really was one – reported outstanding success and ‘an exceptionally vigorous tenants’ association’ in the estate’s early years. But the fact of later decline is undeniable. What changed? We can blame the council (or, more sympathetically, the tightness of local authority budgets) for poor maintenance. Some tenants also blame the council for its allocations policy: ‘They gave anyone who wanted one a flat’; ‘problem people’ were concentrated in the estate rather than being ‘spread around the council housing stock’. With greater distance, maybe we see here the impact of the political and economic whirlwind that ravaged Sheffield in the 1980s – and the reasons why Mrs Thatcher’s demise may be less lamented in Sheffield than elsewhere. Labour’s well-meaning 1977 Homeless Persons Act placed strict duties on local councils to house some of society’s most vulnerable people. But it was followed by Mrs Thatcher’s Right to Buy and virtual ban on the building of new council housing. Then came the decimation of the local economy. A sixth of the local workforce – some 40,000 people – lost their jobs as the local steel industry collapsed. Unemployment in the city as a whole reached 15 per cent in 1984. One resident recalls Park Hill as ‘a marvellous place to live’ into the late 70s, a time when ‘everybody seemed to work…a thriving community’. The contrast is obvious. And let’s not condemn those practical dreamers who believed in society’s duty to house all its people well and built housing on a massive scale to do it. The Park Hill story is not finished. In 2003, the Council outlined a new vision for the estate as a ‘vibrant, mixed tenure estate with owner occupation, rented and affordable for sale properties with high quality retail and commercial premises’. Park Hill, they hoped, would become ‘a fashionable city centre address’. (10) Urban Splash were appointed developers in the following year. At this point, alarm bells may be ringing. A process of gentrification, involving the further marginalisation of social housing, is plain. 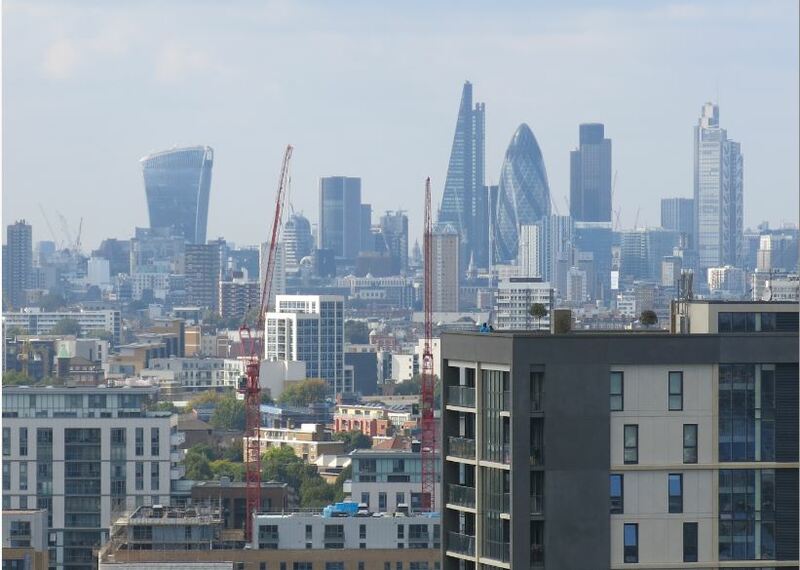 The Council has stipulated that one third of the 900 new flats will be ‘affordable’ but, of these, two-thirds – just 200 – will be for social rent. The price of the flats for sale is generally higher than former residents can afford. Could things have been done differently? I’m not close enough to know and it’s obvious that we live in a very different world – for good and ill – than the one inhabited and imagined by those earlier municipal reformers. It is private money and privatised aspirations that are creating the new Park Hill. Urban Splash are good self-publicists and there is certainly a buzz around Park Hill and a flair in its refurbishment that will provide the estate with a new lease of life. She’s lovely. She’s my mistress, the only lady who’s fetched me from the marital bed at two in the morning and made demands. She has come on hard times, but all she’s got to do is wash her face and put on a new dress and she will be fine. (1) ‘Sheffield Replanned’, 1945, quoted in The Open University, Park Hill, Sheffield: continuity and change. (2) JL Womersley, City Architect, 1955, quoted in The Open University, Park Hill, Sheffield: continuity and change. (3) Quoted in Rachel Cooke, ‘How I leant to love the streets in the sky‘, The Observer, 23 November 2008. (5) Quoted in The Open University, Park Hill, Sheffield: continuity and change. (6) Quoted in Rachel Cooke, ‘How I leant to love the streets in the sky‘, The Observer, 23 November 2008. (7) Quoted in BBC South Yorkshire, Park Hill, 2007, as are most of the following quotes from tenants. 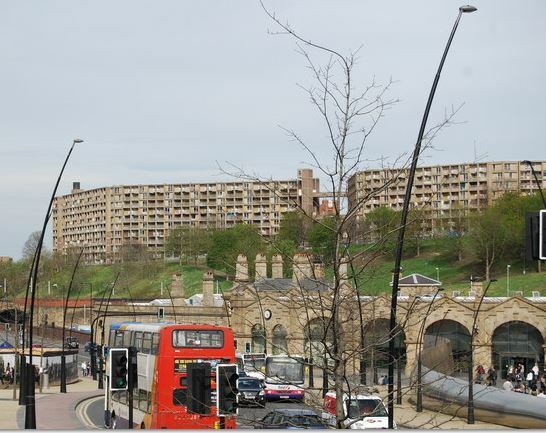 (8) Quoted in Rowan Moore, ‘Park Hill estate, Sheffield – review‘, The Observer, 21 August 2011. (9) Quoted in Rachel Cooke, ‘How I leant to love the streets in the sky‘, The Observer, 23 November 2008. 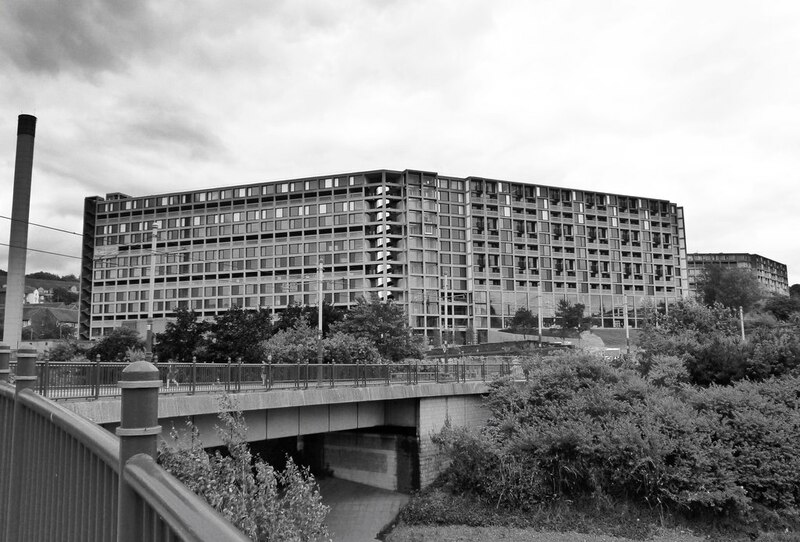 (10) Sheffield City Council, Park Hill, 2003. (11) Quoted in The Open University, Park Hill, Sheffield: continuity and change. 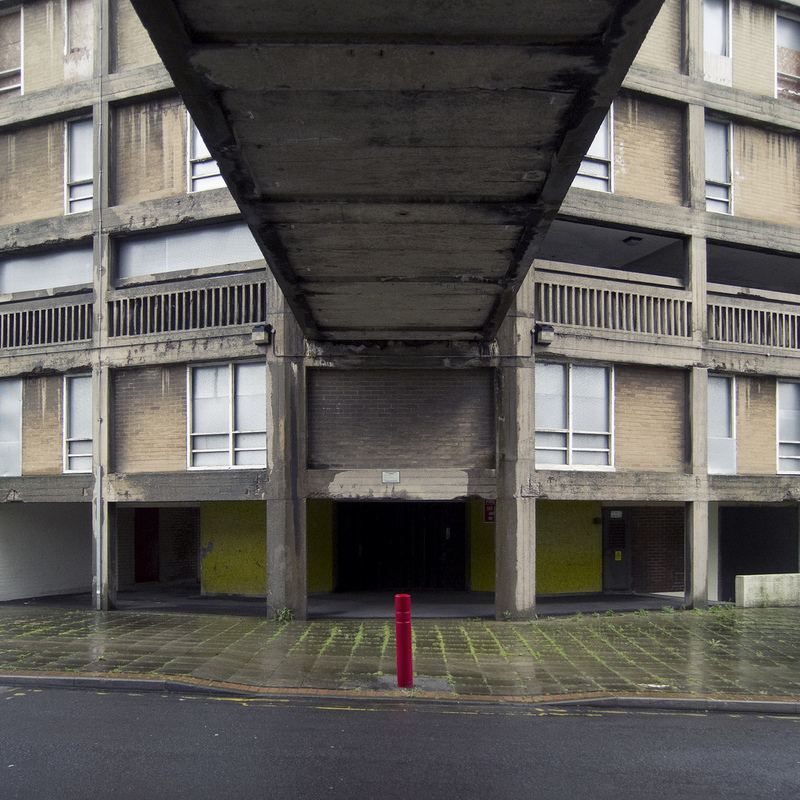 Owen Hatherley provides a very critical perspective on Park Hill’s renovation in ‘Regeneration? 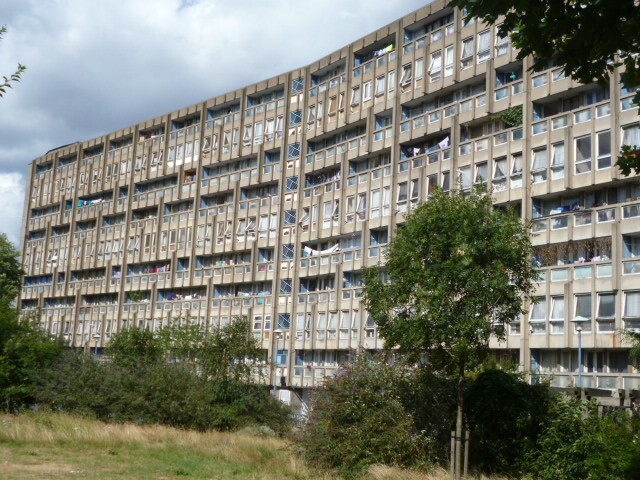 : what’s happening in Park Hill is class cleansing‘, The Guardian, 28 September 2011. Edward Platt, ‘Multi-million-pound make-over for Sheffield’s notorious Park Hill Estate‘, The Daily Telegraph, 21 September 2012, is more positive. There are good blog postings on Park Hill. Single Aspect‘s blog on social housing is well worth following and has an entry on Urban Splash’s renovation. Sid Fletcher writes with passion on Park Hill in a guest post on Wondrous Places. 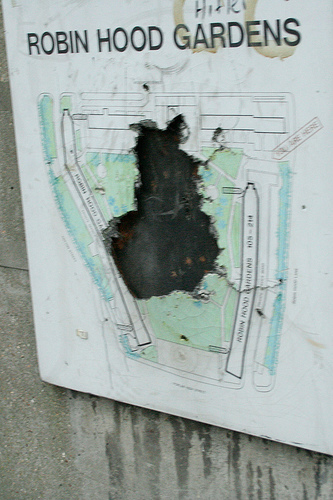 The Wookie has images of Park Hill shortly before the renovation. Urban Splash have a large site on their Park Hill project with some background information – and full details of properties for sale if you’re interested.